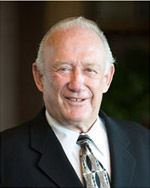 Ronald M. Auen has served as President and Chairman of the Board of the H.N. and Frances C. Berger Foundation since 1988. Upon Mr. Berger’s death, Auen became responsible for the formation, guidance and measured expansion of the Foundation. With a deep commitment to fulfill the Berger legacy established in 1961 to “help people help themselves,” Auen has successfully guided the Foundation through its diverse philanthropic interests and growth for more than two decades. Upon taking the helm of the Foundation, Auen created the principle fund for the H.N. and Frances C. Berger Foundation by divesting and selling the variety of companies, including a financial institute, owned by Mr. and Mrs. Berger. The properties included vacant and income-producing real estate that required extensive review and expertise with regard to the properties to be sold and the properties to be held as investments. To safeguard and ensure the Foundation’s financial and charitable future, Auen created a business plan to incorporate the donors’ entrepreneurial skills, which were real estate investment, land planning and financial investments such as stocks, bonds and securities. To accomplish these goals, the business plan called for Board members to be professional in one or all of the areas, and to actively participate with their skills as Officers of the Foundation. Auen’s experience as a Real Estate Broker and General Contractor contributed to his successful implementation of this process. Under Auen’s leadership, the H.N. and Frances C. Berger Foundation has contributed more than $700 million to charities throughout Southern California and the United States since 1988. Prior to becoming President of the Berger Foundation, Auen excelled in general contracting and land planning services. From 1961 to 1988, he provided land planning services and developed a variety of projects with and for Silver Crest Industry representatives, and was President and Owner of Foremost Land Co., Inc. His work with Foremost Land, Co. Inc. included designing and developing multiple projects. During this time he also performed general contracting work for and with Mr. Berger. From 1956 through 1961, Auen honed his general building contractor and developer skills completing numerous commercial, industrial and residential building projects. Auen is a proud veteran of the U.S. Army, which he served from 1948 through 1952.